A 70th-minute goal from O'Fallon Christian ended Notre Dame's repeat bid, as the Bulldogs fell 1-0 in the Class 2 girls soccer state championship. In the end, local teams go 2 for 3 in today's games, with Oran baseball and St. Vincent girls soccer bringing home state title trophies. Jackson girls soccer will take its chance to add to that when it plays its Class 4 semifinal Friday at 6 p.m. Check back to Semoball.com for stories and photos on all of today's events. The Notre Dame girls soccer team remains locked in a scoreless draw with Christian at halftime of the Class 2 championship. The Bulldogs had a couple of quality opportunities, but nothing cooking yet. St. Vincent girls soccer claimed a second consecutive Class 1 state championship with a 2-0 win over Principia. It is the third title for the Indians, who won in back-to-back years for the first time in school history. A fly ball to left field sparks the celebration as the Oran Eagles defeat St. Elizabeth 4-1 to claim the Class 1 baseball state championship. It is the second state title in program history. The other came in 2013. At halftime of the Class 1 girls soccer state championship, St. Vincent leads Principia 1-0 on a Megan Hennemann goal. That's the score by which the Indians defeated Principia in last year's semifinal. On the baseball diamond, Oran is leading St. Elizabeth 3-1 after five innings. The Eagles went up 3-0 after a two-run second inning. The Hornets got their lone run in the fifth. Welcome back for another day of state championship action, where we have three teams vying to lift trophies. Follow along on Twitter with @semoballPhillip and @semoball for live updates. First up today is Oran vs. St. Elizabeth in the Class 1 baseball championship. That game just got underway at CarShield Park in O'Fallon, Missouri, with the Eagles jumping out to a 1-0 lead. You can read about how Oran got to this point — defeating Green City 7-1 in a semifinal yesterday — HERE. Meanwhile, at Swope Soccer Village in Kansas City, Missouri, St. Vincent girls soccer defeated Lone Jack 5-1 in yesterday's Class 1 semifinal and are about to kick off in the state title game against Principia (10-8), which defeated Fatima 3-0 in the other semifinal. Following that game, Notre Dame (23-3-1) will clash with O'Fallon Christian (17-4) in the Class 2 girls soccer championship at 4 p.m. The Bulldogs edged St. Pius X (Kansas City) 1-0 in yesterday's semifinal, but lost starting sweeper Abby Wilson to an apparent knee injury. If you missed it yesterday, Malden baseball won its first state title. You can read about how that happened, with some offensive fireworks, HERE. 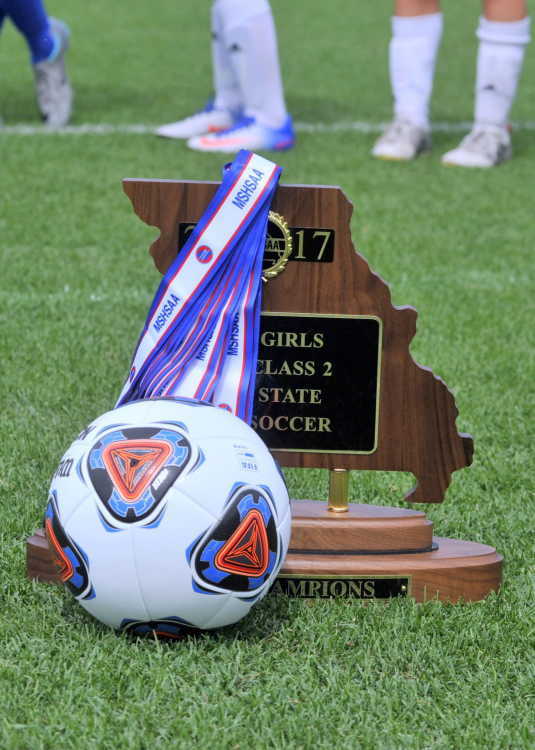 If you're interested in looking ahead, Jackson girls soccer (19-4) opens up its first final four campaign Friday with a 6 p.m. Class 4 semifinal clash with Park Hill (20-3). You can read about the dynamic senior duo that led the Indians on their historic run HERE. The Notre Dame girls soccer team made kept the Semoball area perfect Wednesday, as it capped off a busy day with a 1-0 win over St. Pius X (Kansas City) in a Class 2 semifinal to advance to the title match for the second time in as many years. The Bulldogs made a first-half Megan Heisserer goal hold up to advance to a meeting with Christian, a 3-1 winner over Pleasant Hill in Wednesday's other semifinal. The championship will be played at 4 p.m. Thursday. Currently ongoing, St. Elizabeth leads top-ranked Walnut Grove 4-0 in the fifth inning of a Class 1 baseball semfinal. The winner will face Oran in the championship at 1:30 p.m. Thursday. The Oran baseball team is headed back to the Class 1 state championship game after winning the whole shebang in 2013. The Eagles got past Green City 7-1 Wednesday afternoon, taking a first-inning lead and never looking back. Layne Johnson threw a complete game on the mound for Oran, which will face the winner of tonight's semifinal between Walnut Grove and St. Elizabeth. In a Class 2 girls soccer semifinal, Notre Dame holds a 1-0 halftime lead over St. Pius X (Kansas City) thanks to a goal from Megan Heisserer. Malden has claimed the Class 3 baseball state championship with a 9-8 win over Strafford. Strafford scored four runs in the top of the fifth inning to take its first lead of the game, 6-4, but the Green Wave responded with five runs in the bottom of the inning, grabbing a 9-6 advantage and holding on the rest of the way. While Malden was celebrating its victory, St. Vincent girls soccer was enjoying its own success in Kansas City. The Indians got an early brace from Corin Carroll, held a 3-0 lead at halftime and ultimately dropped Lone Jack 5-1 in a Class 1 semifinal to advance to the state championship game for the second straight year. Defending champion St. Vincent will face Principia for the title Thursday at 2 p.m. The two teams faced off in last year's semifinal, with the Indian's scraping out a 1-0 victory thanks to a last-minute goal. At halftime of St. Vincent's Class 1 girls soccer semifinal, the Indians are in control, leading Lone Jack 3-0. In the other Class 1 semifinal, Principia advanced to tomorrow's title contest with a 3-0 win over Fatima. Meanwhile, at baseball, Malden and Strafford have been trading runs in the Class 3 state championship. The latter just posted a four-run top-of-the-fifth inning to take its first lead of the game, 6-4. Stay tuned for updates as the afternoon progresses. It's a busy day in Semoball land, as four teams play games at state. Here's a rundown of what's coming up, with links to the info you need to know, and don't forget to look toward this blog and Twitter for updates. Follow @semoball for news from the big games, and @semoballPhillip for updates from Class 1 baseball. Malden is up first, as the Green Wave takes on Strafford for the Class 3 baseball title at 1:30 p.m. at CarShield Field in O'Fallon, Missouri. Malden sits at 25-5 entering the game and is expected to give either Tye Miller or Mason Brown the start on the mound. Strafford is 25-4 and coming off a 6-0 win over Hallsville in a semifinal Tuesday. You can read up on how the Green Wave defeated Holden 9-3 in Tuesday's semifinal HERE. In today's other baseball action, Oran opens up its Class 1 state bid with a semifinal contest against Green City at 4 p.m. at CarShield Field. It is the first trip to state since 2013 for the Eagles (16-9). The Gophers enter the game with a 14-2 record. You can read about Oran's return to the big stage HERE. The other Class 1 semifinal final features top-ranked Walnut Grove (22-1) against St. Elizabeth (15-5). On the other side of the state, the girls soccer final four kicks off today at Swope Soccer Village in Kansas City, Missouri. You can read about the Indians' challenges working their way back to state HERE. The other Class 1 semifinal features Principia (9-8) and Fatima (16-7) — both returning to state for a second straight year — in a game that got underway at noon. Class 2 action will close out the day, with defending champion Notre Dame (22-3-1) hoping to lift a trophy again. 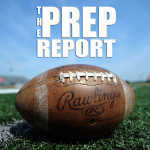 Those hopes begin with a semifinal clash against St. Pius X (Kansas City). The Warriors come in at 19-4-1 and have been fixture in the final four in past years. You can read about how the Bulldogs dealt with pressure to again reach this stage HERE. Thanks for the coverage Phillip!